We are really excited here at Fall Creek to witness the launching of our BrazelBerries® Collection of ornamental berry plants into Germany through our German licensee Zu Jeddeloh Pflanzen. 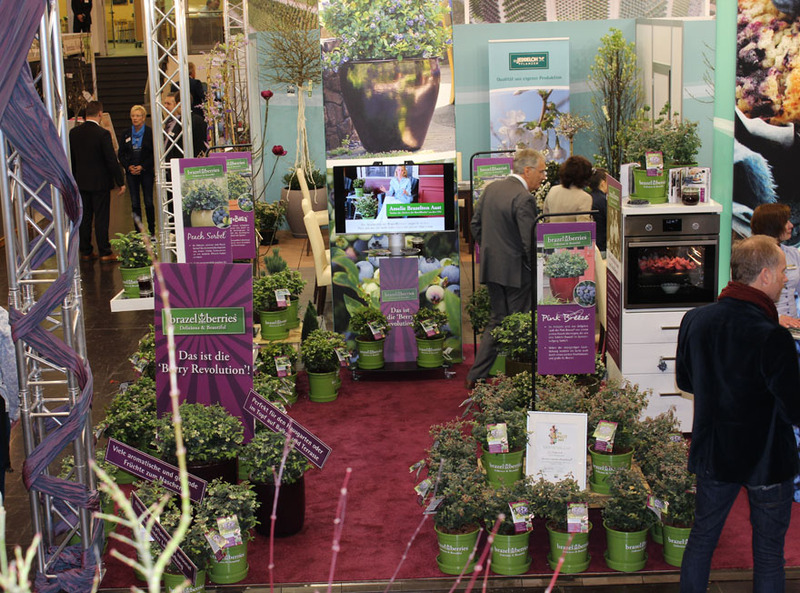 Jeddeloh’s kick-off of BrazelBerries® took place at the IPM trade fair for plants in Essen, Germany. A mix of BrazelBerries® blueberry plants will begin to be sold in garden centers throughout Germany in spring of this year. We received news that BrazelBerries® won a prestigious innovation award at the IPM show in the woody plants category. It is an honor to have Jeddeloh on board, and we applaud their hard work and creativity in creating such a special launch of BrazelBerries® at the IGC Show. We’ll share more from Germany in the coming weeks. To learn more about BrazelBerries, visit our website. And to learn more about Jeddeloh Nursery, visit their website. The IPM Show In Essen, Germany is the global plant industry's biggest show with 60,000+ professionals attending each year. You can learn more about IPM here.